Metal made GIFT HAMPER BASKET with very nice hand painting on it. Application: Give this Jelly Belly Valentine gift basket to that special someone in your life! 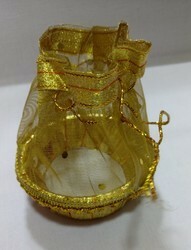 Beautifully crafted fiber basket in Gold & Silver color. Can be used as flower baskets or as gift items. 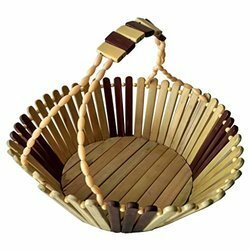 We are indulged in offering the finest quality Gift Packing Basket. Share this perfect, classy and delightful gift for any festival or occasion. Full of our exquisite gourmet selection of mouth watering treats, it will be loved by everyone, no matter what their age! With immense market knowledge, we have been able to provide optimum quality Designer Teddy Bear Basket.